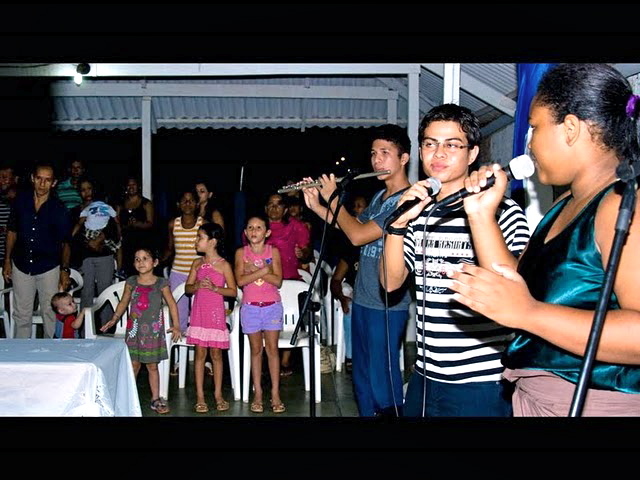 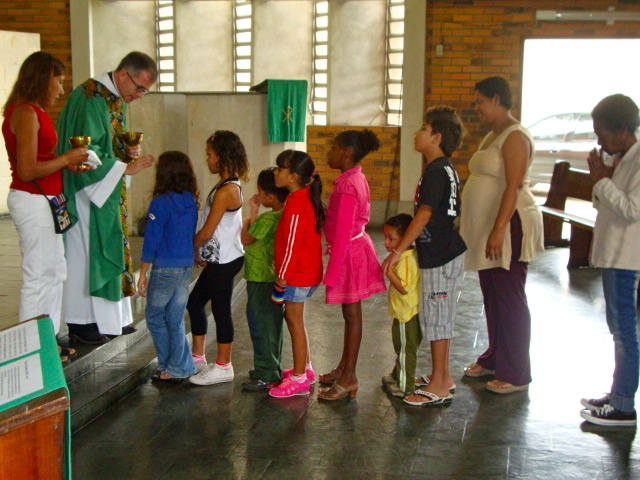 For the first time, the Igreja Episcopal Anglicana do Brasil took part in a worldwide initiative called “Back to Church Sunday.” This project, which started in the Church of England Manchester Diocese, now challenges several church bodies around the world with the simple proposal to invite people who don’t attend any church to visit a church community on a given sunday. 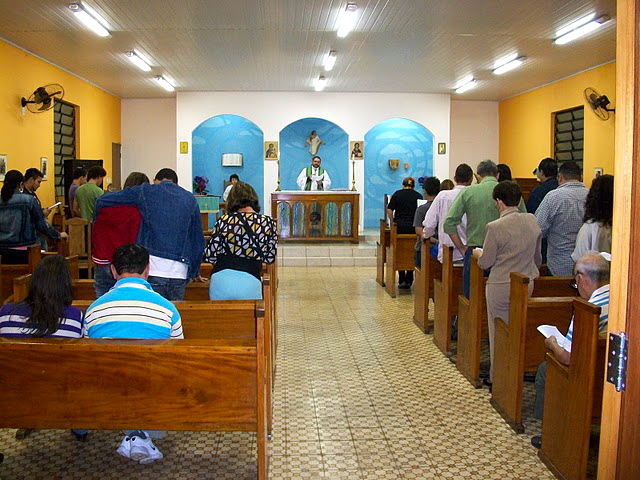 In Brazil, the project was officially held on September 26th, but some churches in particular chose to postpone it, só it would match other celebrations. 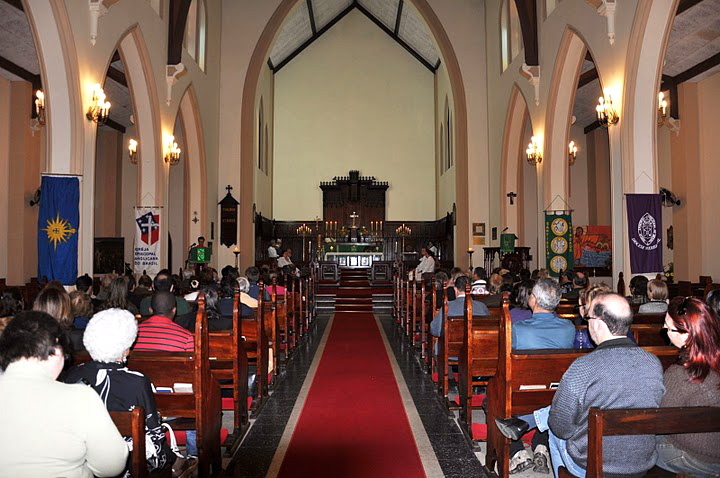 Thirty churches of different sizes joined forces in inviting thousands of people for Back to Church Sunday. 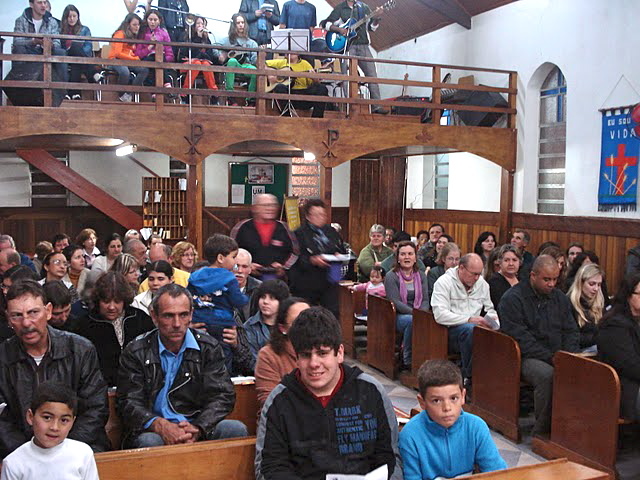 Due to geographical constraints and lack of resources among some of the participating churches, IEAB chose to adopt a more flexible approach regarding cards and invitations. 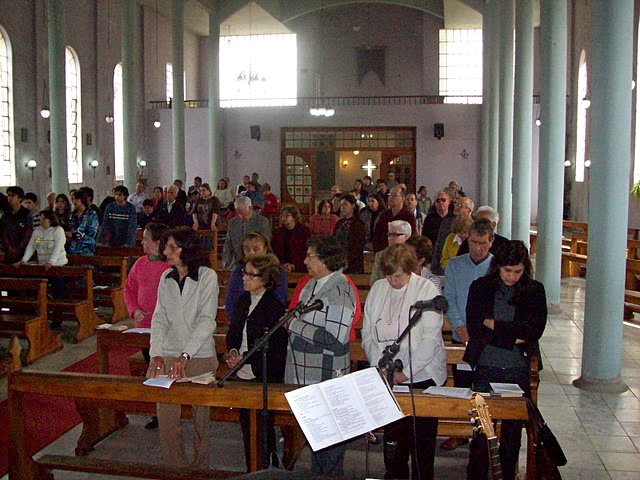 Graphic files were available online and churches were encouraged to locally produce their own printed versions of it, either black and white or in color.